Elegant Accommodations With Stunning Views. 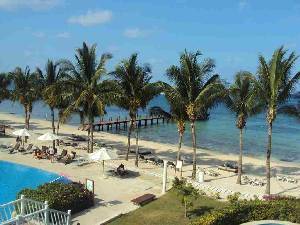 Located On The Largest Beachfront In Cozumel With World Renowned Diving Or Snorkeling. Gourmet Dining At Five On-Site Restaurants With Unlimited Premium Drinks. The Limitless Luxury Cozumel Resort is the perfect getaway for endless fun in a beautiful destination. Located on the small island of Cozumel, just 12 miles off the coast of the Yucatan Peninsula, guests will enjoy a fun-filled getaway complete with all of the privileges of a luxury vacation. Families, couples and singles will all enjoy endless fun with countless daytime land and water activities, limitless food and beverages from four reservation-free restaurants, endless domestic and international beverages from three bars & lounges and so much more... All while never having to wear a wristband!